I talk to many people with type 1 and type 2 diabetes who know they need to make a change to their health. They've hit the breaking point and they're ready for a different path. They might be overweight, struggling with initial diabetes complications or experience diabetes depression and burnout. They might see the straight line CGM graphs we're posting and say, "I wonder how they do that?" or maybe they're just be tired (literally and figuratively) of high A1c numbers. They need to change, but there's something holding them back. Big changes are hard, especially when it comes to something as personal as what you eat. I used to be adamantly opposed to ANYONE telling me what I could and couldn't eat with diabetes. I did what I wanted. I knew what was best for me! We're told by our doctors that we need to reduce our A1c levels, but they don't give us the tools to do it. It's a rigged system that fails to show us how to improve our health. Unless we follow our gut and research on our own, we'll never find the alternatives. It lowers your need for oral medication with type 2 and with type 1 diabetes, it lowers the amount of correction you will need for both low and high blood sugar levels. This is the Law of Small Numbers and it is cornerstone to Dr. Bernstein's plan for diabetes management. With fewer carbs, type 1s also need less insulin. Be ready to reduce your doses. After the first day of eating lower carbohydrate, whole foods such as non-fibrous vegetables, meat, full-fat dairy and nuts/seeds, you'll see a difference in your blood sugar levels. The next step is "buy the book!" Dr. Bernstein's Diabetes Solution book is the guide to this whole process. Yes, it's a large, often technical manual and it can be hard to read, but it's crucial. You can get it here on Amazon, or find it in your local library or bookshop. If you're open to trying the plan detailed within, it will change your life for the better. Much of the Dr. Bernstein's Diabetes Solution is book is covered both on our website, the diabetes University videos and Dr. Bernstein's website for free. Read as much as you can on the subject of Low carb for diabetes management and make an informed decision! 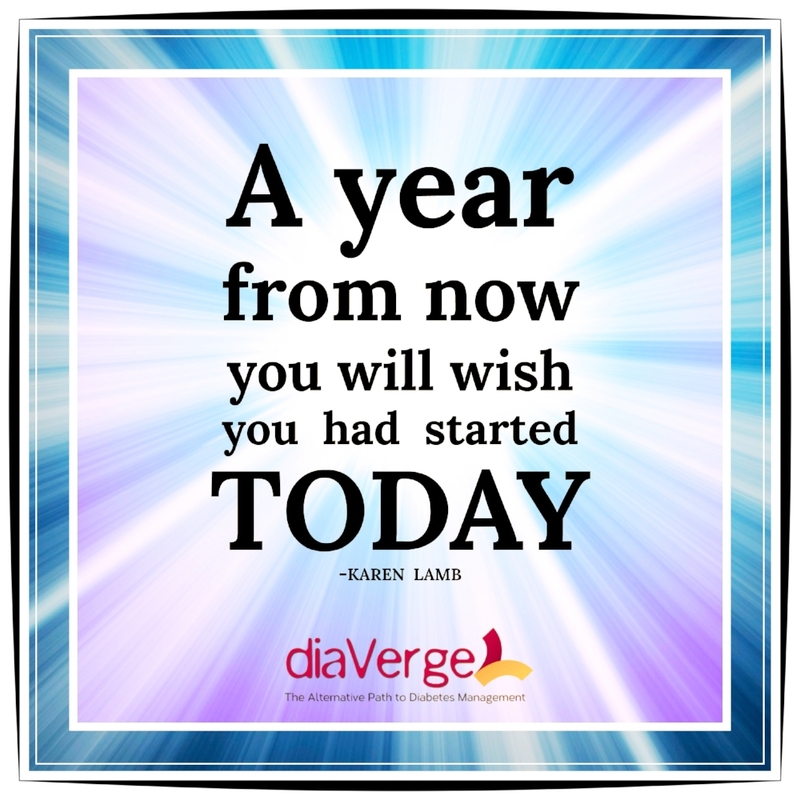 Subscribe for more info on the upcoming diaVerge Classes! Sign up with your email address to receive news and updates regarding our "Intro to Low Carb' and Intro to "Protein classes"! Enrollment starts March 1, 2018. We respect your privacy and we eill never share your information. If you haven't purchased Dr. Bernstein's Diabetes Solution book, you can do so with this link to Amazon. If you're looking for personalized support, problem-solving and accountability on Dr. Bernstein's plan, please consider our Diabetes Wellness Coaching package.